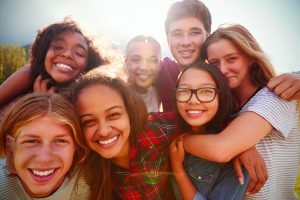 Treatment Foster Care, also known as “Therapeutic Foster Care” is provided by specially trained Resource Parents who are prepared to support the healing of youth ages 2 to 21 impacted by trauma. TFC partner families provide a safe, stable and supportive home where youth can heal, thrive and reach their potential until being reunited with their natural family or a permanent placement can be arranged. 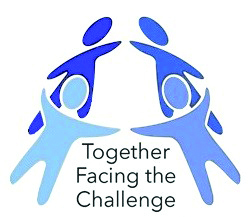 TFC partner families receive “Together Facing the Challenge” (FTC) training – an evidence-based program providing parents with strategies for youth who display challenging behaviors while encouraging parental growth and confidence along the TFC journey. TFC homes are located throughout Maryland, and we are always looking for new adults and couples seeking to enrich a child’s life with unconditional love. BCC’s TFC program takes referrals from state child welfare agencies (e.g. DSS, DJS) across Maryland and places children in foster homes throughout the state. However, the program is operated out of two offices. The Baltimore TFC office is located on BCC’s Baltimore campus and organizational headquarters. It primarily serves children and families in the Central Maryland region. The Southern Maryland TFC office primarily serves children and families in Southern Maryland, including St. Mary’s, Charles and Calvert counties. Board of Child Care’s programs is open to any individual regardless of their religious beliefs. In addition, BCC welcomes Treatment Foster Care parents to apply regardless of their personal religious preferences. Read more about Spiritual Life programming and BCC’s affiliation with the United Methodist Church.